I've looked all over the internet and only found one place in Germany that sells hollow SS 30mm bracelets. Does anyone know where I can get a nice looking, solid, brushed finish, 30mm, stainless, bracelet for less than $200? 30mm bracelet!! !WTF watch takes a 30 mm bracelet??? foghorn wrote: 30mm bracelet!! !WTF watch takes a 30 mm bracelet??? 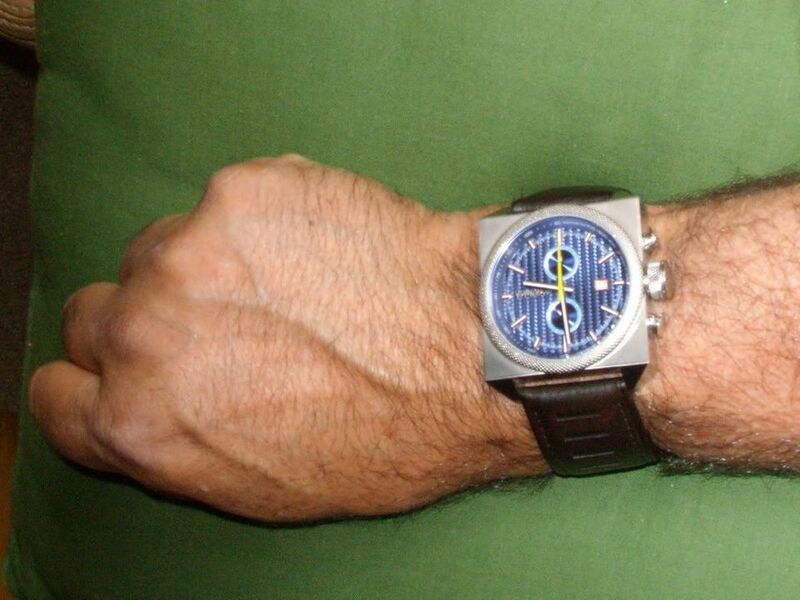 A magnificent ShopNBC "timepiece", no doubt. With the solid bracelet, I expect the whole package to weigh around 3 lbs. TimekeeperII wrote: I've looked all over the internet and only found one place in Germany that sells hollow SS 30mm bracelets. Not a "Shop" watch, but your not too far off. It's a World of Watches purchase I made about two years ago. I like the leather strap, but I thought it would look great with a brushed SS bracelet. The weight of a bracelet that big wouldn't bother me. I think the watch could balance it out.